Last week, I wrote a post about why I almost quit blogging and I have to say your comments, emails and tweets really, really opened my eyes. You shared with me the same struggles you have faced, the feelings you have felt and the desire to just leave it all behind but guess what? We're still here! Yay! Go us!!! 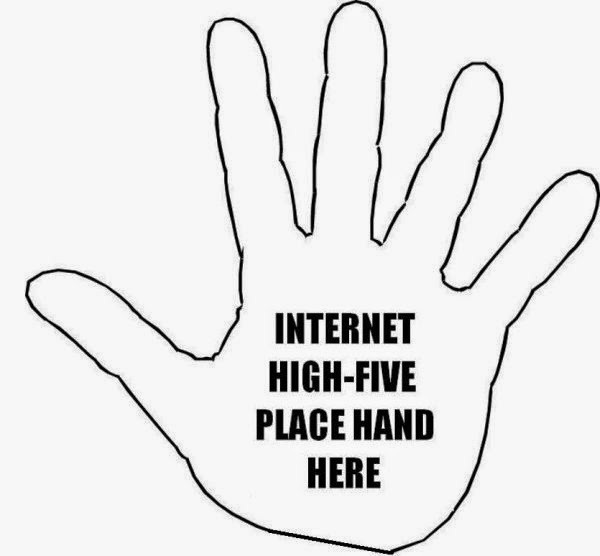 We ALL deserve a virtual high five. I try to reply to all comments but even with good intentions, it doesn't always happen and I am sorry for that. I do, however, read all of your comments and I do think about them. It really reminded me that we are truly in this journey together. We all have different dreams and aspirations. Some of you are beauty bloggers who dream of reaching the level of success that Michelle Phan has reached. Some of you are fashion bloggers with a dream of breaking the industry's mold, of designing your own line or owning your own boutique. Some are food bloggers, review bloggers, fiction writers and mommy/daddy bloggers. The point is- we all have one common aspiration: to succeed in our ventures. I have been seeking out ways to improve my writing and my storytelling abilities. Bloggers tell stories. 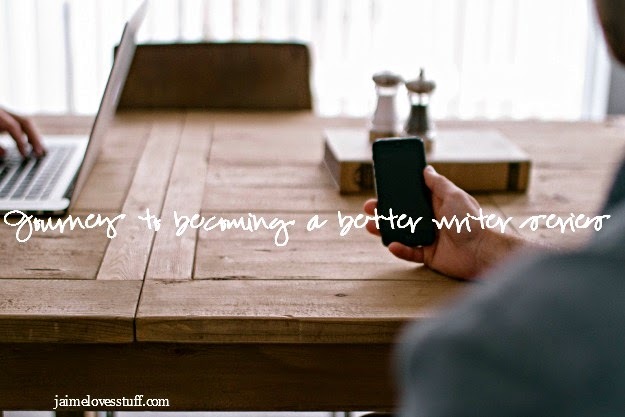 Bloggers don't have to be great writers but do need to be great storytellers. We need to grab our reader's attention and keep them wanting to read more. We want our readers to feel like they are here in the same room. Our readers are our community. You are my community. You are friends and a support system. I hope that I am able to do the same for you! I am a huge fan of Jeff Goins and he is one of my biggest inspirations. He is also why I have been putting energy into creating a writing series. It's to help me become a better writer and to share with you not only my journey but the tools I have come across. I watched the video that Jeff Goins shared the link to on his Facebook page last night. He hit the nail on the head when he essentially said blogging is give and take. Sure, I can write about Lord of the Rings all day (I mean, who couldn't, right?) but what is being given to the reader? Are you being given anything of use besides lots of pictures of Eomer? 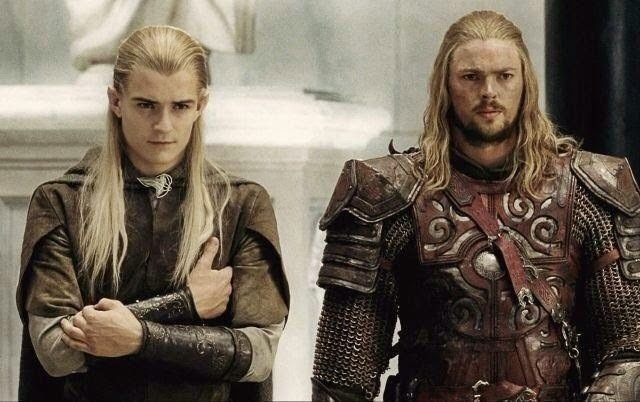 Sigh... Eomer. Back to the video, go watch it. Subscribe to his newsletter (it's worth it). Post by Jeff Goins, Writer. What I love about "Bird by Bird" is that she's not telling you how to write but she is teaching you how to write your story. When it comes to writing- just write. Just write and don't worry about editing until later. The story will grow and evolve. Ann Lamott's storytelling abilities are unsurpassed. Okay, maybe they are but reading a book about writing and have it lure you in as much as a work of fiction? That takes an incredible amount of skill. As she says in the book- get to know your character and become really good friends with your character. As bloggers, most of us aren't writing fiction but to a point, some are. Yes, a lot of blogs are somewhat fictional. How well have we gotten to know ourselves (character)? We have to draw a line between TMI (too much information) and Unrealistic (fiction). Sometimes, we are even a bit sanitized and less personal. It's a very, very difficult balancing act and it's a line that only you know where it lies. Readers can go to Allrecipes for a recipe but readers come to blogs for recipes because they like the author. I can go to Amazon and read a book review (and I do. I skim through the "I loveee this book. #GGFTW or Worst book everrrrrrrrrrrrrrrrrrrrr! I hate you! You're idiots for loving this book. It takes forever to find a review that tells what they liked and what they didn't like) but nine times out of ten, I will end up buying a book based on one of the book bloggers' I follow recommendation. I trust the bloggers because over the years, I have built an online relationship of mutual book lovin' and as we have all gotten to know each other, I know that we have similar tastes. I don't want to steer anybody wrong and I don't want to lose your trust. Writing from the Senses is fantastic for ANY blogger- whether you write a review blog, a beauty blog, a DIY blog, a food blog, and any other niche you can imagine. When communicating via our blog posts, Twitter, Facebook, email, etc.- we don't have the luxury of body language, facial expressions, or tone to express the tone behind the writing. Writing to convey the sensory experience is absolutely critical and this book has many exercises to help improve creating a sensory experience within your writing.